The Camber? You guys like them don’t you? Yep, we do. 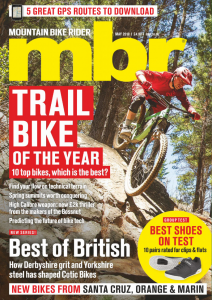 We’re fully sold on the idea of short-travel 29ers and this bike was one of our favourites. It was a contender in our Bike of the Year test 2014 after scoring a perfect 10, and our Dep Ed Danny currently has one as a longtermer and is loving it. So, will this one live up to that? It certainly has potential. Our favourite models were always specced with slacker EVO geometry as we found the standard geometry a bit too steep. Specialized has clearly been listening and has given every model the same geometry this year, with an angle sheet that reads very similarly to previous EVO models. 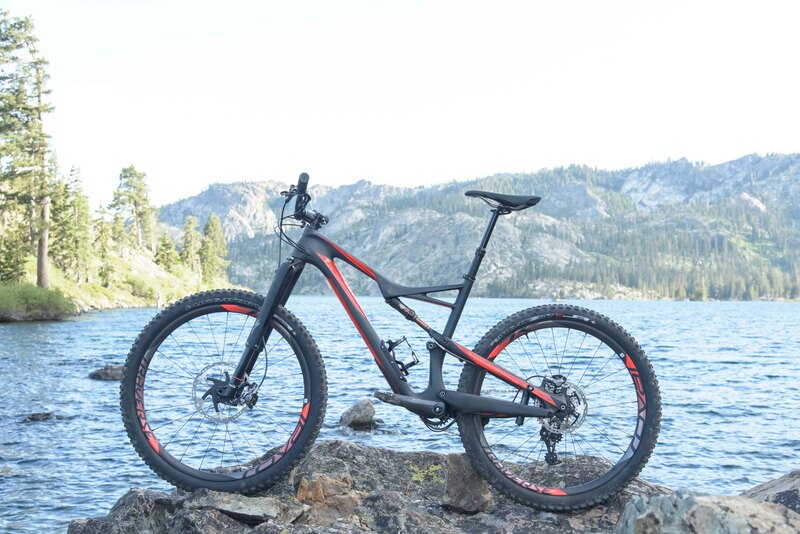 With an extended wheelbase and slackened head angle, the geometry is now similar to a Stumpjumper, meaning the 2016 range is definitely looking sporty. Hang on, each wheel size? Yep, that’s right. 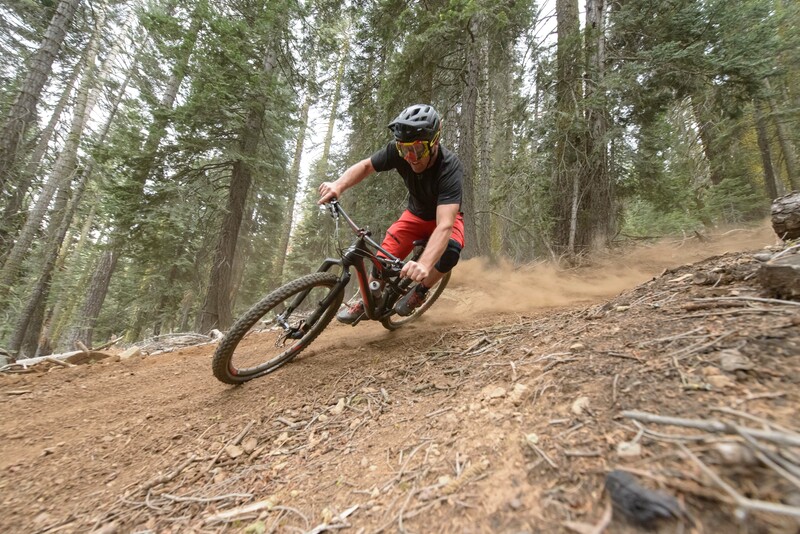 Specialized has added a 650b wheel size option to all models of the Camber. Spesh isn’t just throwing on smaller wheels though — it has redesigned the frame specifically to incorporate the wheel, making it shorter, slacker and lower, which should make for a more playful version of the trail muncher. 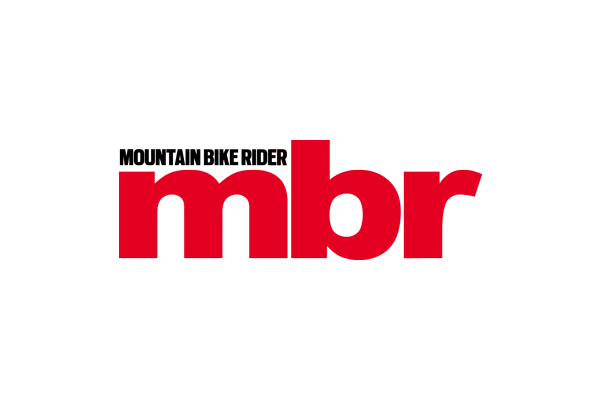 All the 29er models have 120mm of travel and all the 650b models have 130mm of travel. We think that removing different geometry options is a good thing, as it means the only thing you have to decide now when buying is which wheel size suits you best and which spec you can afford. 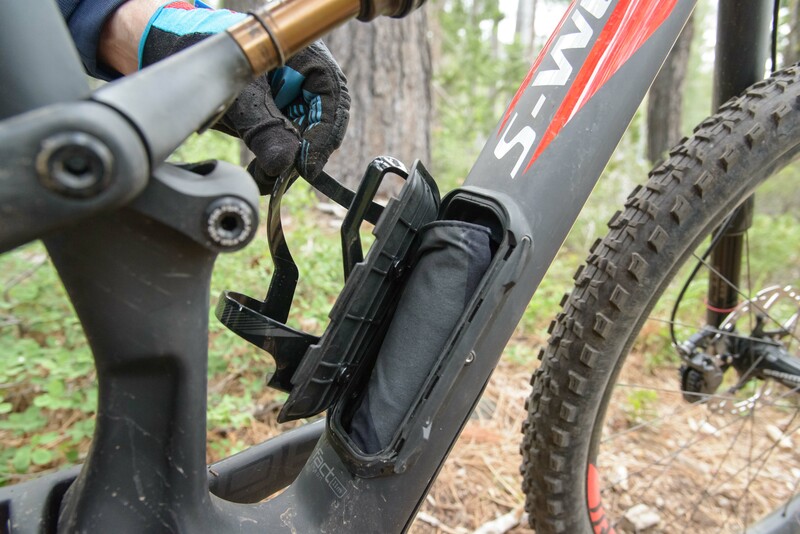 Paddy Behan, the team manager at Specialized Racing, has confirmed that Specialized is on a mission to kill off the backpack using its SWAT storage system, which was first introduced on the 2016 Stumpjumpers. 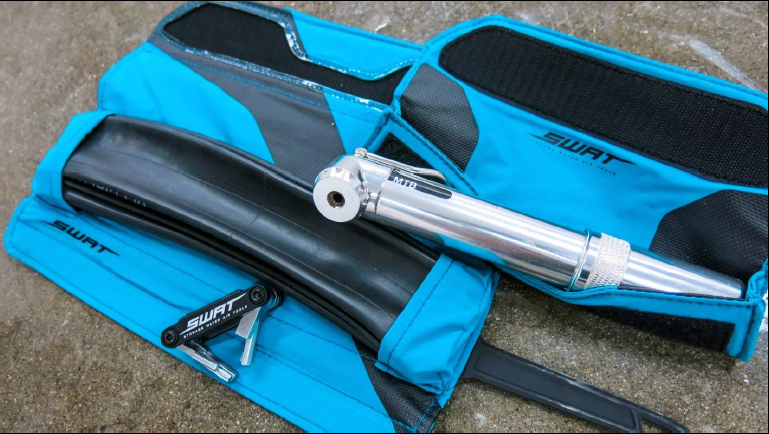 The SWAT system is now integrated into the Camber and allows you to store your equipment inside your bike while you are riding. The Camber has two main SWAT storage spaces. 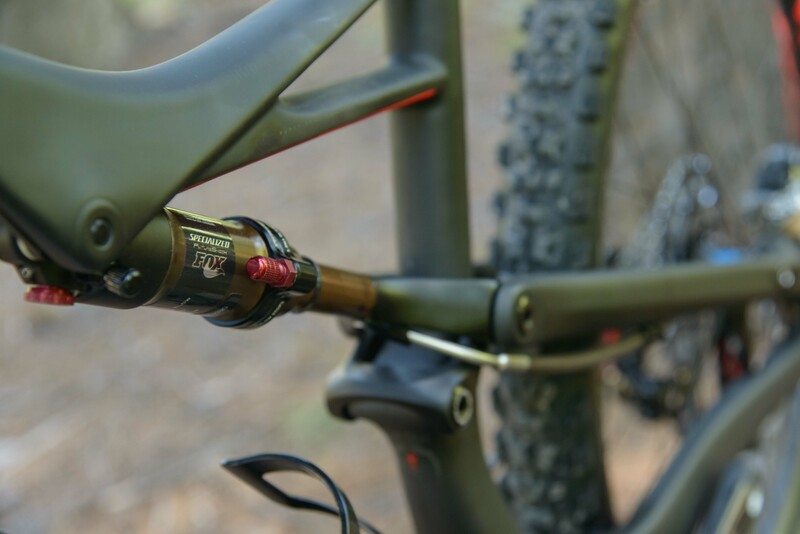 The first is between the shock and the top tube, which should give you enough room to carry a multi tool. The second is underneath a trapdoor in the downtube, which has enough room for a pump and a jacket. Don’t worry about messing up that gorgeous carbon frame though, as Specialized has also created SWAT wraps to keep your belongings secure. How will the Camber ride? We’ve liked the models we’ve ridden in the past, so there’s no reason to suggest this version should be any different. It’s worth mentioning that the high spec models, such as the one we rode, use the Brain shock system. The Brain system comes from a collaboration between Fox and Specialized and hopes to eradicate the need for lock out systems. The fork uses a sprung brass weight to determine whether compression is coming from above or below. If the compression comes from above (i.e. from the rider) then the shock remains firm; if it comes from beneath, then the weigh is lifted and oil is allowed to flow. Specialized claims this creates a constantly responsive shock that needs no input from riders to lock it out when you need to pedal. Cool, so how do I get my hands on one? We’ve not had any word on pricing or availability yet, but with 15 different models there should be one for almost every budget.